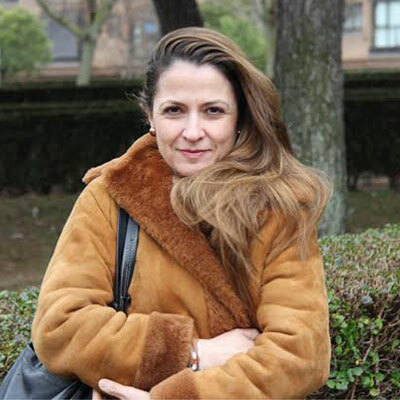 Maribel received her Master's in Telecommunications Engineering from Madrid Politechnical University and PDG by IESE Business School in 2006. In 2017, she participated in the Women on Board Program at IESE Business School. She's fluent in Spanish, French, English and German. During her career, she spent 1 year in R&D, then 5 years with distributor, Telekec in Spain, starting as a junior support engineer before moving to sales and then running the Telecom and Systems Business unit for 2 years before she became the General Manager at Danish company GN NetTest. There she led direct and indirect sales in Southern and Central Europe for 6 years. Next she managed the acquisition and integration of Photonetics and the final integration with Anritsu when they acquired NetTest in mid-2005. Maribel joined VIAVI in 2006 to develop the channel business in EMEA. She then, she's focused on market segmentation and GTM clarity for direct and indirect, channel sales tools, training and enablement, driving vertical channel sales, creating the first global virtual channel team and creating the preliminary global program prior to the Velocity program. She has contributed to the overall channel strategy as Channel Director for EMEA for the past 4 years. Over the past year, I have participated in further enhancing and developing our current CRN 5 Star rated VIAVI Velocity Partner Program to enable the success of our global VIAVI partners. During the past year in EMEA, I have addressed a major step in our channel coverage model: introducing our 2-tier value-added Master Distributor model in our Telecom Business. This model has enabled us to provide further coverage and value-added support to our resellers especially in the Middle East Region. In our Enterprise Business, our current Master Distributor network has successfully reached double digit growth. This past year our EMEA partners have achieved solid growth leveraging our VIAVI MDF program and enablement tools offered in the Velocity program. We have a solid and strong partner network at VIAVI, and we are ready for further development and growth. My female role model remains Ana Maria Llopis Rivas. President of the DIA retail chain in Europe today, she has held many executive-level positions in large companies. She inspires me to live a balanced life, have passion for my work that is balanced with a passion for my family, friends, hobbies and self-development. She's a great example of someone who sets daily and long-term priorities to ensure she achieves the goals she sets across all facets of her life. She has lately shown further strength by winning a health battle. Be passionate about what you do, always try to enhance how you do things, and be good at what you do. In my career, I've never thought about "I am a woman in world of men." I just enjoy my work, I am passionate about it and I deliver. That's how my career developed and I have succeeded thus far. Change is becoming a daily challenge and it will be more and more relevant moving forward, as speed of technology and business transformation increases. I would like to master how to communicate effectively the right change vision - with strategic goals and implementation steps - to win immediate adoption, passion and engagement on the transformation. "The Human Condition" (Man's Fate) by Andre Malraux A story of revolution and endurance of humanity in the most desperate and inhumane conditions. Besides illustrating a key episode of Chinese History, it illustrates how human beings can push beyond their imaginations.